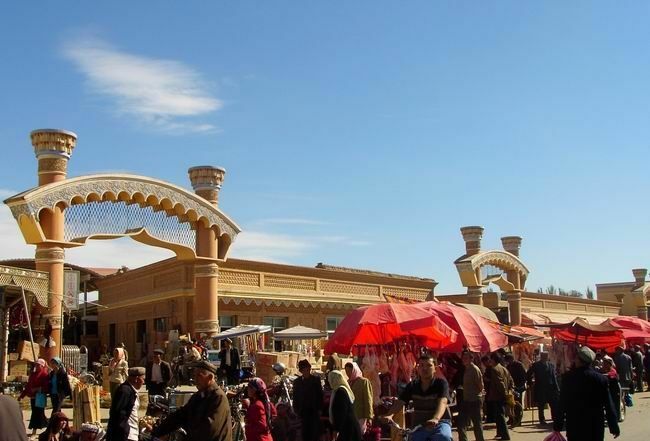 There are many bazaars in Kashgar (kā shí 喀什), scattering in different streets of both rural and urban areas, but the best-known is the East Gate Grand Bazaar (dōng mén dà bā zhā 东门大巴扎). 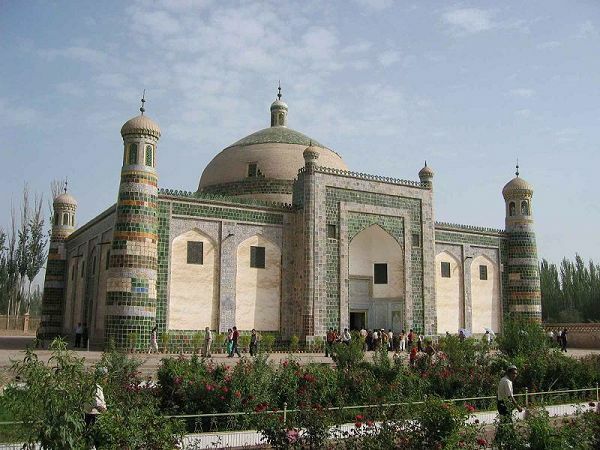 This is because the East Gate Grand Bazaar is the biggest of its kind in Kashgar and offers richest varieties of commodities and most favorable prices, which attracts lots of customers to the bustling bazaar. Abakh Hoja Tomb (ā pà kè huò jiā mù 阿帕克霍加墓), commonly known among the Chinese as the Tomb of Xiangfei (xiāng fēi mù 香妃墓), is the most magnificent tomb in Kashi (kā shí 喀什), filled with history and symbolism. It served as the family tomb of Abakh Hoja, the powerful ruler of Kashi in the 17th century. 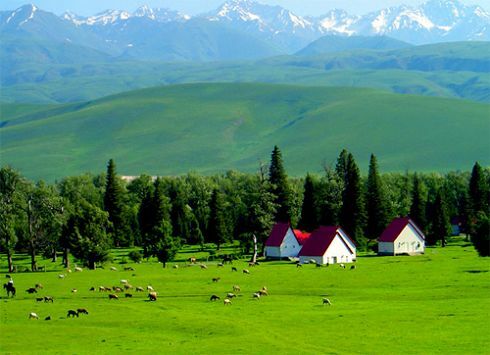 There is a saying that you never know how board china is unless you have been to Xinjiang (xīn jiāng 新疆), and you never know how fantastic scene in Xinjiang unless you have experienced the fairyland of Ili Grassland (yī lí cǎo yuán 伊犁草原). The Ili Grassland boasts fertile soil and a mild, humid climate, with more rainfall in the mountains than in the river valley. 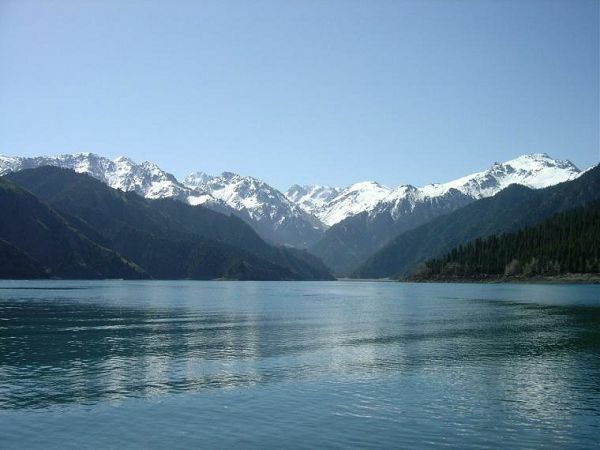 The Tianshan Mountain (tiān shān 天山), renowned for its natural beauty, lies in the middle of the vast area of China’s Xinjiang Uigur Autonomous Region (xīn jiāng wéi wú ěr zì zhì qū 新疆维吾尔自治区). There the far-stretching Gobi Desert (gē bì shā mò 戈壁沙漠), grand icy peaks and snow-covered mountains, quiet valleys and vast expanse of grassland plus the hospitable, music and dance-loving ethnic minorities with different folk customs are major attractions for tourists to explore mysteries on the Silk Road. The Flaming Mountain (huǒ yàn shān 火焰山) is located on the northern verge of Turpan Basin (tǔ lǔ fān pén dì 吐鲁番盆地), more than 10 kilometers away from Turpan city (tǔ lǔ fān 吐鲁番). It is the cradle of the Turpan ancient civilization and oasis agriculture. 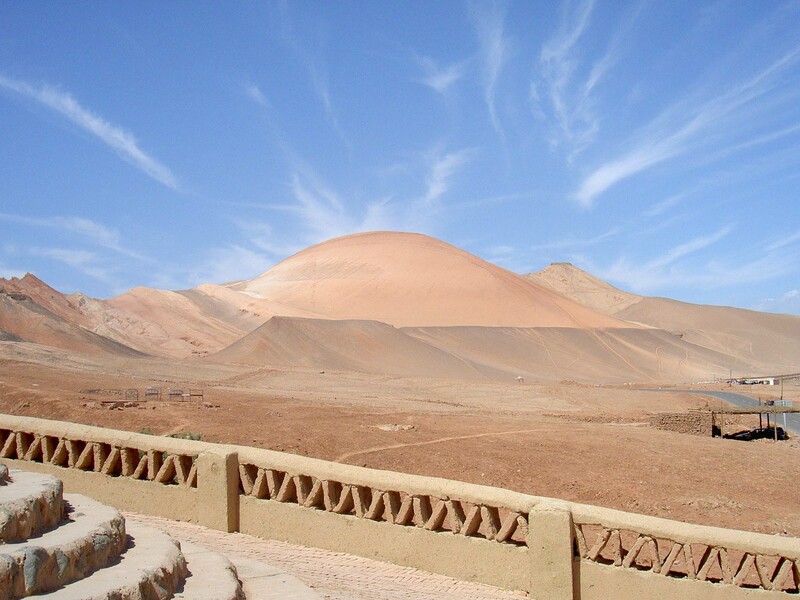 Eighty percent of the total natural landscapes and human landscapes in Turpan are located here. In there, it is bare, red rock, and incredibly hot, high and dry. Great to look at from a distance, but going into the mountains is not for the faint-hearted, and only in the coolest part of the day. They provide a spectacular backdrop to the oasis and scenery of the Turpan area, and have given rise to many legends and stories, such as the classic "Journey into the West"(xī yóu jì 西游记).